The Justice Department said in a court filing late Friday that it will take at least a year to review about 47,000 cases of unaccompanied children taken into government custody between July 1, 2017, and June 25, 2018 — the day before U.S. District Judge Dana Sabraw halted the practice of splitting families. The administration would begin by sifting through names for traits that would signal separation — for example, children under five who would most likely to have been accompanied by a parent. The administration would provide information on separated families on a rolling basis to the American Civil Liberties Union (ACLU), which sued to reunite families and criticized the proposed timeline on Saturday. White, whose work has drawn strong praise from the judge, would lead the effort to identify additional families on behalf of Health and Health and Human Services, working with officials at Customs and Border Protection and U.S. Immigration and Customs and Enforcement. Dr. Barry Graubard, a statistics expert at the National Cancer Institute, developed a system to flag for early attention those most likely to have been separated. The vast majority of separated children are released to relatives, but many are not with parents. Of children released in the 2017 fiscal year, 49 per cent went to parents; 41 per cent to close relatives such as an aunt, uncle, grandparent or adult sibling; and 10 per cent went to distant relatives, family friends and others. The government’s proposed model to flag still-separated children puts a higher priority on the roughly half who were not released to a parent. 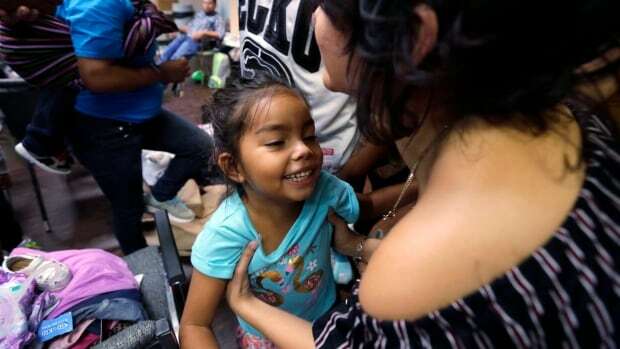 Other signs of likely separation include children under five, younger children travelling without a sibling and those who were detained in the Border Patrol’s El Paso, Texas, sector, where the administration ran a trial program that involved separating nearly 300 family members from July to November 2017.